One of the more interesting things you can do with Apple’s iPhone and iPod touch is to use it as a remote control for other devices. Since the iPhone App Store launched almost two years ago, developers have created hundreds of remote control applications. Some of them are for entertainment — designed to control A/V equipment in your living room. Others control household appliances, functions on your computer, or even expensive corporate security systems. For now, most remote control apps operate over the Internet, or via a wi-fi or Bluetooth link between your iPhone and another device. 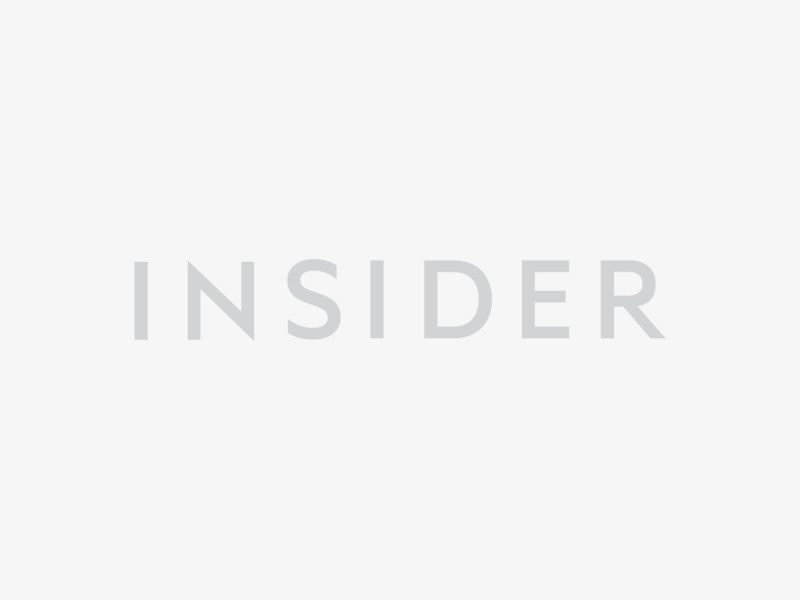 But one company is developing an infrared iPhone accessory, which will open the doors for even more remote control applications. It’s conceivable that, with these apps and accessories, an iPod touch could replace the fanciest of universal remotes, and have the bonus of shipping with a Web browser and all the other apps on the App Store. 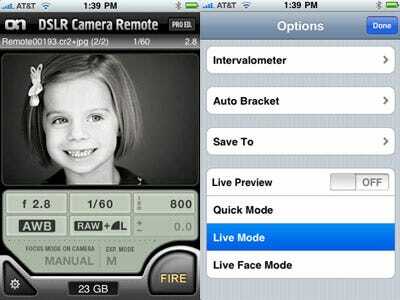 Here’s an updated version of our list of iPhone remote control apps. Let us know if we missed any good ones. More TV providers are releasing iPhone apps to use as DVR remotes. Recently, Comcast published an app that allows some of its digital cable subscribers program their DVRs remotely. And free apps from DirecTV, DISH Network, and AT&T let you program your digital video recorder from anywhere. 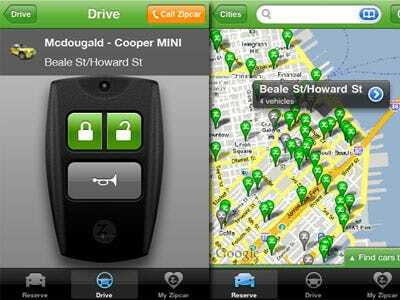 The free Zipcar app lets you find and book rental cars. But the impressive part is that you can also use your iPhone to unlock the car or make its horn beep. 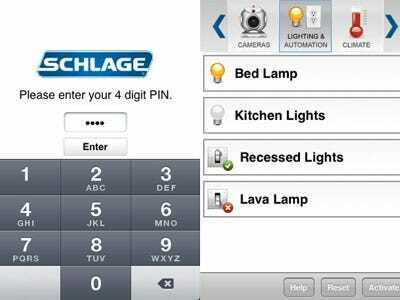 A recent Apple commercial highlights this app for the Schlage LiNK home automation and security systems. You can watch your doors, lock and unlock them, turn lights on and off, etc. This isn't just an app but a $50 hardware add-on that gives your iPhone infrared support. 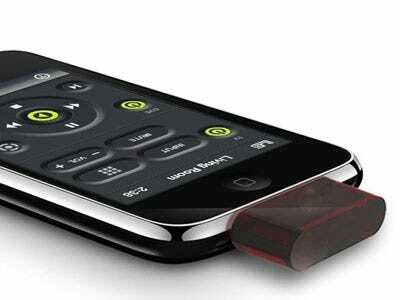 When it ships -- supposedly soon -- the L5 remote accessory will let you turn your iPhone into a universal remote, replacing any number of remote controls that are on your coffee table. 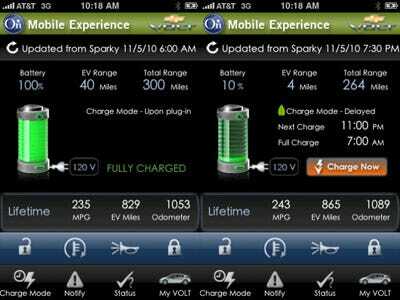 This free app lets you access info for a Chevy Volt electric car via OnStar, including charging info, driving stats, door locks, horn, and lights. Via Apple's free Remote app, search and change the song playing on your computer's iTunes jukebox from bed, across the house, or even outside. Or change volume settings, or hit pause, etc. Another app called PodLink ($2.99) lets you wirelessly control music playing on another iPhone or iPod touch, perhaps one that is being played in a docking station across the room. There's also a $3.99 app to control WinAmp if you use that. Apps like the $1.99 Air Mouse Pro (limited free version also available) turn your iPhone or iPod touch into a wireless trackpad and keyboard. This is helpful if you want to kick back and don't have a wireless keyboard, or if you're using an old computer hooked up to your TV and want to access the cursor or type something from the couch. A reader notes a free, similar app from Logitech. The $3.99 TouchPad app is another alternative. Several Blu-ray discs include Internet features that can be accessed via iPhone apps. For example, the free 'pocket BLU' app can act as a remote for Blu-ray discs that support 'pocket BLU' -- including 'Bruno,' 'Funny People,' other movies. 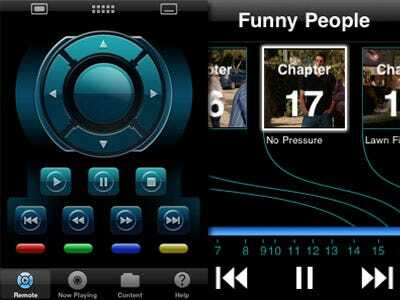 Features include controlling playback, browsing through chapters, the soundtrack, etc. Other Blu-ray remote apps are available for different systems, including the Sony PS3. If you use a Roku video player -- the cheap, no-frills box that plays Netflix, Amazon, MLB.TV videos, etc. 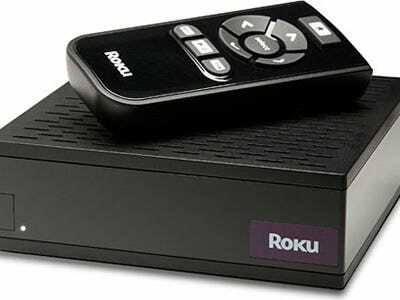 -- you can get the free Rokumote app and control your Roku without its plastic remote. Other apps, like Evan Schoenberg's versatile $0.99 Rowmote can steer PowerPoint slides. This one takes a little tinkering, but free VNC -- 'virtual network computing' -- remote desktop software on your computer (Mac, PC, Linux, etc.) will let you view and control it from anywhere, provided it's turned on and hooked up to the Internet. 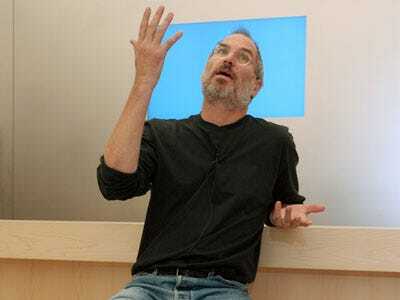 A search for 'VNC' in the App Store turns up more than 30 apps. The VNC app we've been using for our iPhone is the free Mocha VNC Lite; there's also a pro version for $5.99. 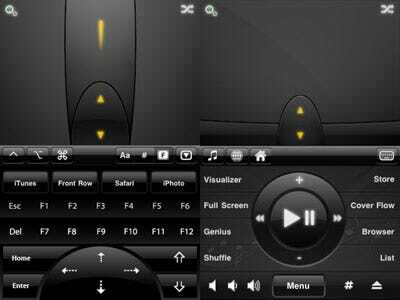 If you use a Logitech Squeezebox home audio system, the $9.99 iPeng app seems to be the best reviewed remote control. Control volume, switch songs, etc. If you have a SlingBox -- a device designed to let you watch your home TV/cable service from anywhere, over the Internet -- you can use your iPhone to watch TV. The $29.99 SlingPlayer Mobile app recently got an important new feature, which allows you to stream TV from your SlingBox over 3G. Previously, it only worked over wi-fi. This one is for the kids: Fans of the cable TV show 'iCarly' may appreciate the $1.99 'Sam's Remote' app, which includes sounds from the show. 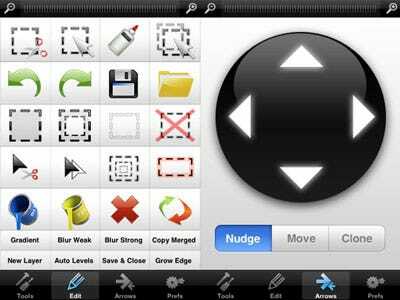 A $2.99 app called PhotoKeys:Photoshop Remote puts the Adobe Photoshop toolbar on your iPhone. Not for everyone, but could be helpful for some setups. A recent update adds a nifty feature that lets you use your iPhone's multi-touch screen as a 'gesture pad' to scoot around the Apple TV display. This is much easier than using the small, plastic remote that came with Apple TV. You can also use the Boxee remote app to remote-control Boxee, if you've loaded that onto your Apple TV. If you have a Sonos multi-room sound system -- especially the popular, newish S5 -- your iPhone is a remote via the free Sonos Controller app. 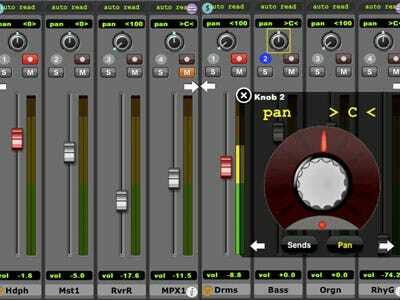 The ProRemote ($99.99) and ProRemote Lite ($35.99) act as sliders and other controls for pro audio editing software, including ProTools and Apple's Logic software. 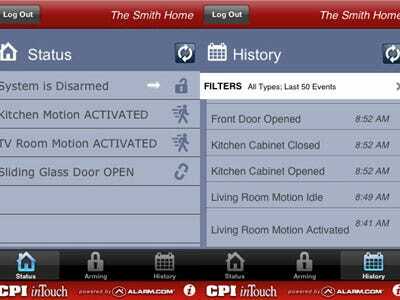 CPI Security customers can use a free iPhone app (with additional service) to monitor their home security system, turn it on and off, see activity history, etc. Requires the $4.99 X-Plane Remote app and the $29 desktop X-Plane software. Ladies: We're not quite sure how this one works, but the $9.99 'Boyfriend remote' app is worth every penny if it performs magic. You can tell it to 'give me money,' 'forget about beer,' and even 'take me to the mall.' Classy. Also available: Girlfriend Remote and Parent Remote. If you use the free Boxee media centre software on your Mac, PC, Linux box, or Apple TV, you can use your iPhone as a remote via Boxee's free app. If you hook your Canon EOS or Nikon DSLR camera up to a computer via USB, you can remotely control settings, fire the shutter release, and see your camera's viewfinder remotely over wi-fi. The main drawback is that your camera has to be hooked up to a computer.